7 segment spiral opening up each cell for maximum juice yield, minimal oxidation, most nutrition. 80 RPM SLOW MASTICATING AND GRINDING – 90% More Nutrition Growth. Without creating too much heat and friction, reserves the vitamins, enzymes, minerals, trace minerals and nutrients. Less foaming and no clogging. 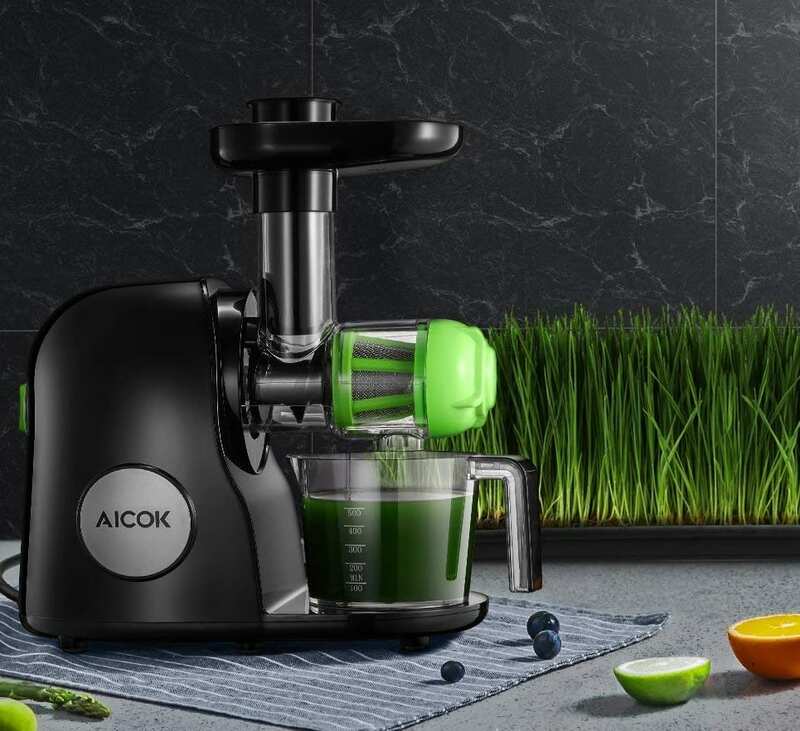 JUICE & PULP SEPARATION FUNCTION – Perfectly separates the pomace from the juice, and extracts the nutrients from the fruits and vegetables into juice. Enjoy the pleasure of less pulp. BABY HEALTH AND SILENT – Runs less than 60 decibels. Safe PMMA material, easy to assemble, operate, and clean, dishwasher-safe parts make cleanup a breeze. A heavy-duty and stable body that let you enjoy a quiet life.